KRCB FM91 presents the T Sisters live at the Mystic Theater Saturday November 25th. The Bay Area siblings will bring the whole band for a night of sweet harmonies and danceable beats. 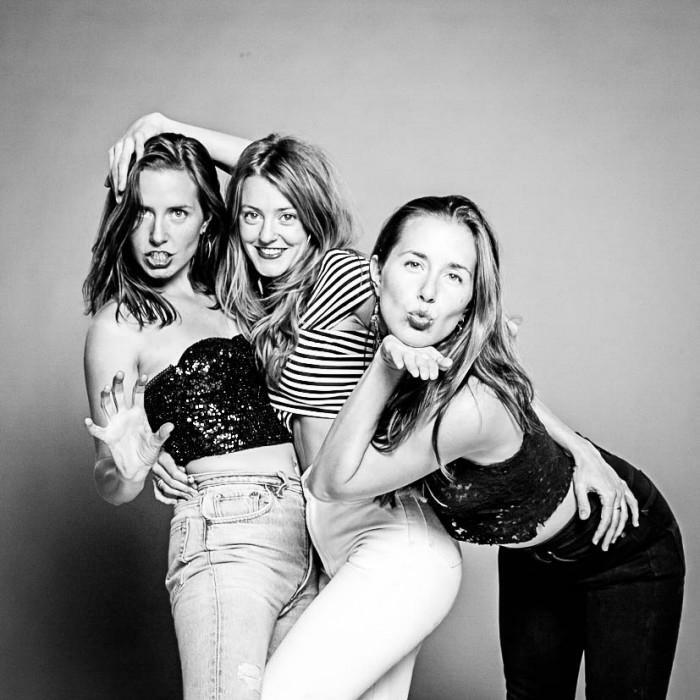 Raised in the East Bay, the sisters (Erika, Chloe and Rachel) didn't start singing together in earnest until after college. They quickly developed a following, playing house concerts and open mic nights. Renowned bluegrass artist Laurie Lewis took them into the studio to produce the album "Kindred Lines". The T Sisters have released two collections in 2017. The full length self-titled CD came out in spring, and the 5 song EP "Live at Tiny Telephone" has just come out. Opening the show is Ismay, the talented singer/songwriter, film maker and avid horsewoman. Both the T Sisters and Ismay will visit Studio 'A' Monday November 20. Come on out and join us to dance away those Thanksgiving calories!